If this stark declaration doesn’t get your attention… The reality is digital transformation is becoming vital to the continued success of a business in today’s ever-changing business world. According to statistics from the Digital Marketing Institute, 27% of senior executives rate digital transformation as being a “matter of survival.” 71% of digitally maturing companies found they were able to attract more talent due to their digital use. Digital Transformation has become a necessity. IDC previously predicted that nearly half of technology spending would go toward digital transformations this year. But digital transformation involves more than just throwing up a digital technology and calling it a day. The reality is that digital transformation is a business transformation. If the digital strategy does not significantly change the way that business is done, it’s not a real digital transformation. 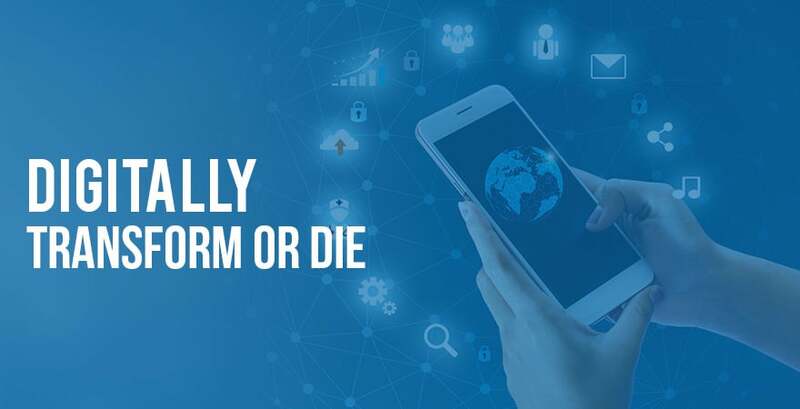 Technologist Mike Bainbridge shares in his blog, ‘Evolve or Die: Why Digital Transformation is More Important Than Ever,’ how digital transformations are not only for the customers but for the employees. Businesses need to drive cultural change just as much as they push for technology transformation. Mike says when arguing how employees are your most important customer, that “Work is no longer a 9 to 5 pursuit, in the connected world we are always available to reply to urgent emails, and as such, your employees expect more for their loyalty and time.” How is a business supposed to drive a digital business transformation while maintaining strict security and compliance regulations? Hosted Virtual Desktops. How do Hosted Virtual Desktops Drive Transformation? Solved: Data loss protection – The data remains on the server, not the end point, so if a phone, laptop or other mobile device is lost or stolen, the data remains secure. Solved: Cybersecurity protection – While building their solution, the providers significantly invested in technology, time and talent to build a solution that can keep out even the best cyber attackers. Multiple layers of both physical and network security combined with data encryption help keep the majority of attackers at bay. If one does happen to get through, built in backup recovery means the system and data can be restored, erasing all effects of the invasion. Solved: Response Time – As physical endpoints, like desktops and laptops age, they inevitably slow. Aging components wear down, causing processing power to fade. Hosted Virtual Desktops take all of the processing needs, saving the endpoint from the effort. Solved: Compliance regulations – You can meet your industries compliance needs without all the complexity and stress of wading through the immense amount of paperwork and hoops with Hosted Virtual Desktops if your provider has done the legwork for you. Solved: BYOD – Integrating different device manufacturers is complicated, as many IT professionals can attest. Proprietary operating systems and software does not like to “play nice” with other manufacturers and developers, leaving many businesses preferring one device strategy over another. But not everyone works the same, and some may be very experienced in the Apple products as opposed to Android and Microsoft. As the two are very different, this can create confusion and slow employees down. Hosted Virtual Desktops enable a simple strategy by simplifying the process of bringing your own devices into the network and maintaining the security and integrity of your network. Solved: Mobility – Even if your employee forgets their laptop or finds themselves without access to it, they can still contribute on the fly. Hosted Virtual Desktops can be accessed from any mobile device, including cell phones or tablets and with the full functionality as if they were sitting at the physical desktop. Gartner has reported that 67% of business leaders say their company will no longer be competitive if it can’t be significantly more digital by 2020. Digital transformation is no longer a “maybe we will get to it someday” to “we won’t be here later if we don’t.” The same Gartner survey reported that 87% of leaders see digitalization as a priority. Digital efforts do not just affect the customer, but they need to enable employees do their job more effectively. 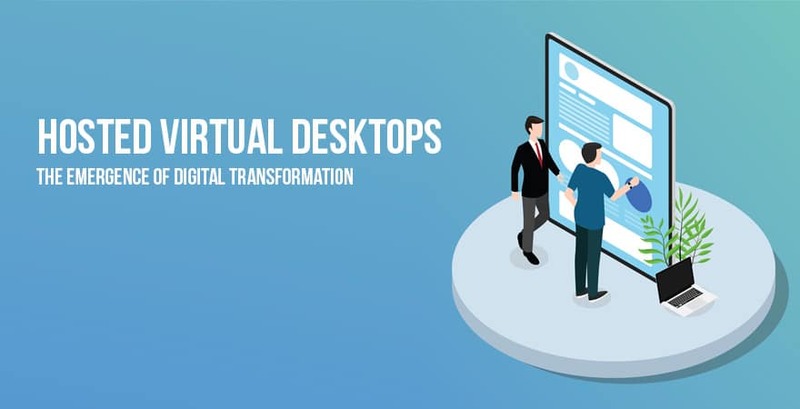 The advanced technology that powers hosted virtual desktops allows businesses to meet their digital transformation goals and increasing the productivity and efficiency of their staff, while still maintaining compliance and security regulations required to keep their data secure. Get started now on your path to digital transformation with hosted virtual desktops.